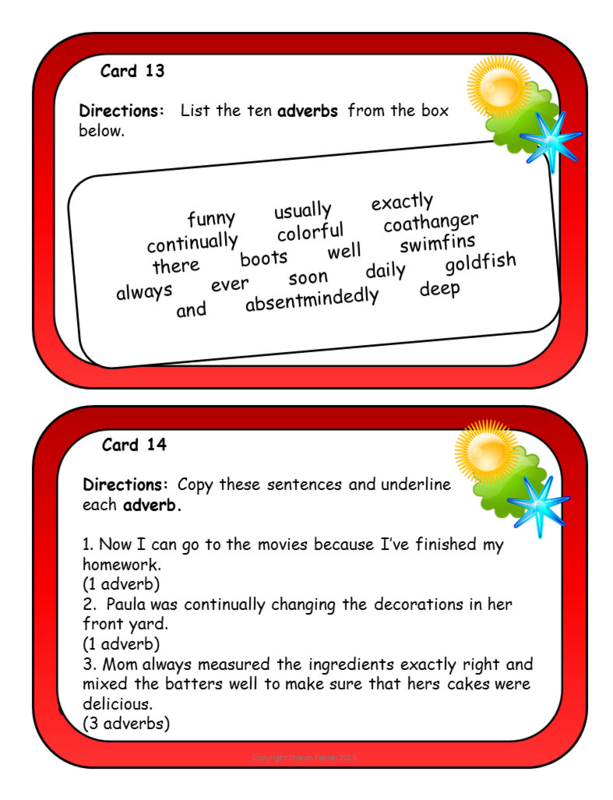 Task cards come in handy in so many situations! 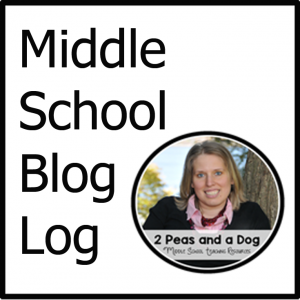 It’s great to have a few sets standing by to pull out of your desk drawer at a moments notice, and of course they are also a part of many planned, interactive lesson components. Some task cards have a very brief assignment, maybe just one question per card. 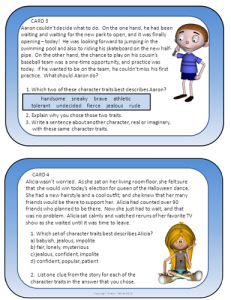 Others provide a longer activity or a set of several questions, enough for students to sit down and work on for a while. 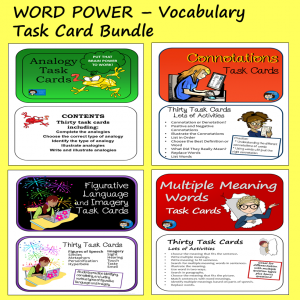 The task cards with brief assignments, also called question cards, are great for certain assignments, while the task cards with longer assignments are great for others. 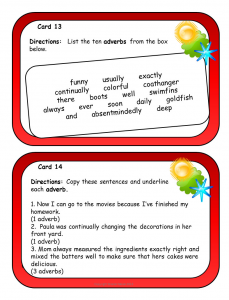 Longer task cards are even more versatile. You can use them for any type of class competition where groups or individuals compete to finish first or to get the most correct. They are good for openers, and they can be copied for exit slips. 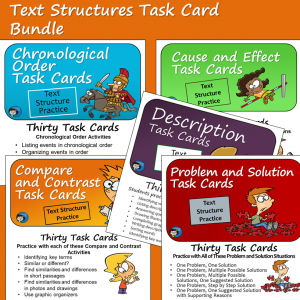 Theses task cards are a good length for partner work or group work, and for individuals who finish their main assignment early. Either type of cards can be used to review topics to help students retain the information they have learned.